You may not be able to tell, because Emily did an amazing job, but it was C O L D for her recent senior portrait session (well not -20 like it has been here in Decatur for the last month, but still cold). Emily loved the layered winter look of her adorable coat and scarf so she was able to stay snuggled up for most of her session until we retreated to the warmth of the studio. This gorgeous gal had incredible expressions and she owned every look. A big shout out for Katie at Salon 402 for another beautiful job on hair and makeup for Emily. 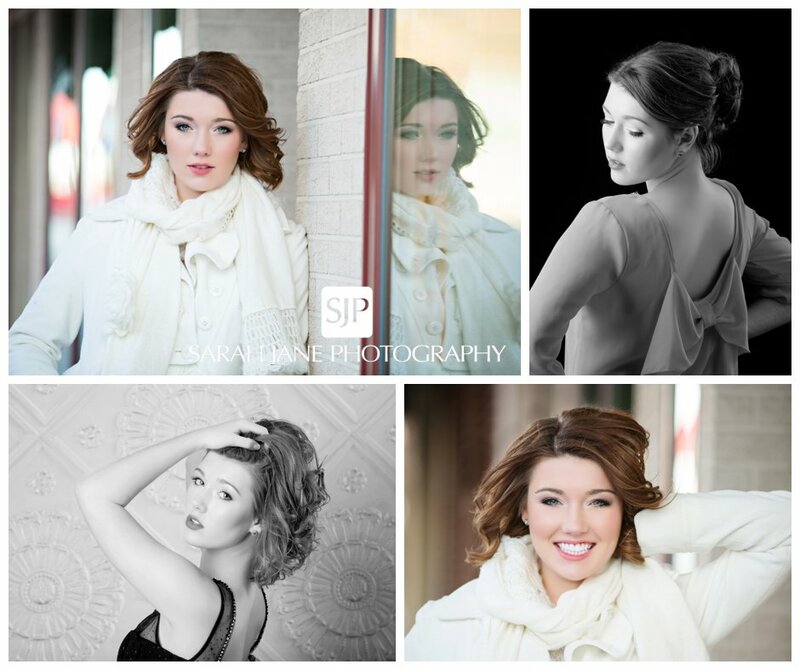 Here are a few of our favorites from Emily’s session but be sure to head over the the Sarah Jane Photography Facebook Page to see more and give her a few likes! ***2015 SENIORS: We’re already booking quickly for March/April and even May so be sure to call early to reserve your session time. Sunset sessions are already all full for March!